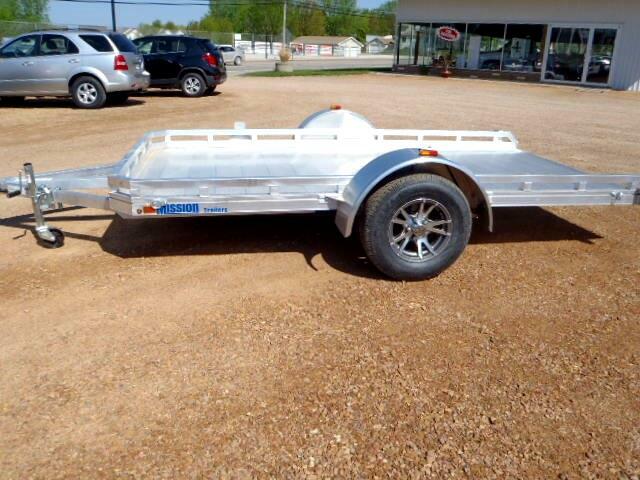 ALL-NEW Mission 2.0 Utility Trailer with Tilt deck w/hydraulic dampener system. Fixed 2" X 2" aluminum side rail. ALL-ALUMINUM construction, 2990#GVW, single Torsion axle, 14" alloy wheels w/ST205/75R14 Radial tires, Extruded aluminum decking, LED Lighting, triple tube box tongue, 2" coupler. Adjustable track for easy install tie downs, spare tire mount or other options sold separately. 5 year limited warranty. On Sale NOW! Message: Thought you might be interested in this 2018 Mission Utility Model- Aluminum Deck with Tilt.